In addition to shoeing horses, blacksmiths could repair and make almost anything made of metal. Amos built buggies, sleighs, and wagon wheels in this shop. 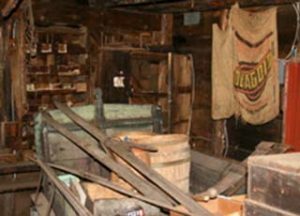 Many of the tools of the blacksmith trade, including the forge, were left undisturbed in the building when the business was closed. The Society has restored the building’s exterior and interior, exhibiting the shop and equipment as they were at the end of the nineteenth century. Hours & Admission – The Bammert Blacksmith Shop at Phoenix is open from mid-June to early October.There is no admission charge for this museum however a donation is appreciated. 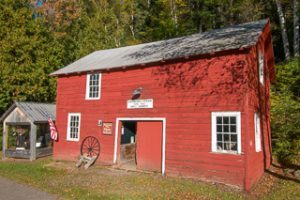 Related Links – You may wish to explore the following sites for additional information on the Bammert Blacksmith Shop.